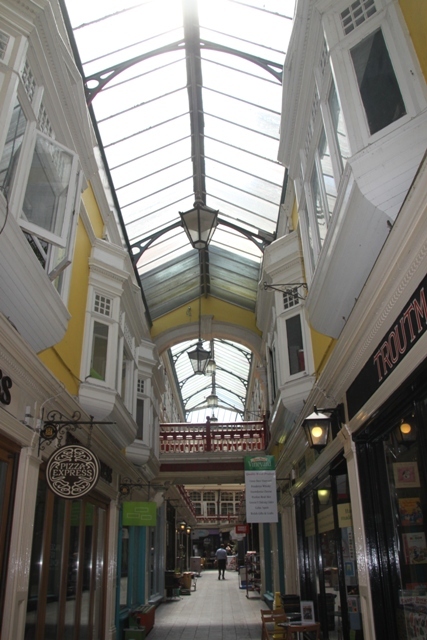 As well as an incredible castle Cardiff has no less than eight elegant Victorian and Edwardian shopping arcades – my view that we couldn’t leave without visiting at least one was not shared by Husband and Son, but I put my foot down. Literally across the road from the castle gates we stumbled upon Castle Arcade, a labyrinth of delightful shops, stalls and cafes. All wrought iron and ornate, much to Son’s delight these were not the usual “boring” (his words) shops, their offerings far more quirky, unusual and interesting. Browsing was done and in the end it was Son who had to be dragged away when I was all shopped out. Not just quirky shops, this arcade had a plethora of great looking eating establishments. Hunger rearing its head, we just opted for the first one we came to, no issue at all with that. 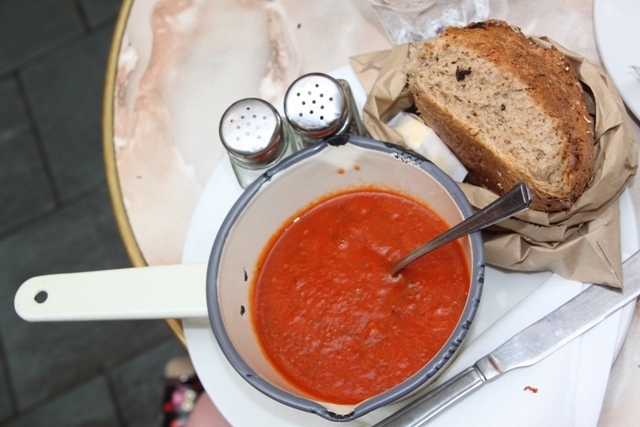 We feasted on tomato and basil soup, served with a hunk of rustic bread in an enamel pan – presentation as well as taste got top marks. A pat of homemade butter on the side – it doesn’t get much better than that. Shopping and eating complete, we ventured back towards the castle. Having spotted the clock tower on the way in to the castle we decided to take a closer look from the outside. It is ornate, colourful and fairytale like. The turrets and towers on this side of the castle are all from the 19th century, but this beauty of a tower dominates it all. William Burgess, that eccentric architect who let his Gothic creativity loose on the interior was allowed to take charge of the outside too. 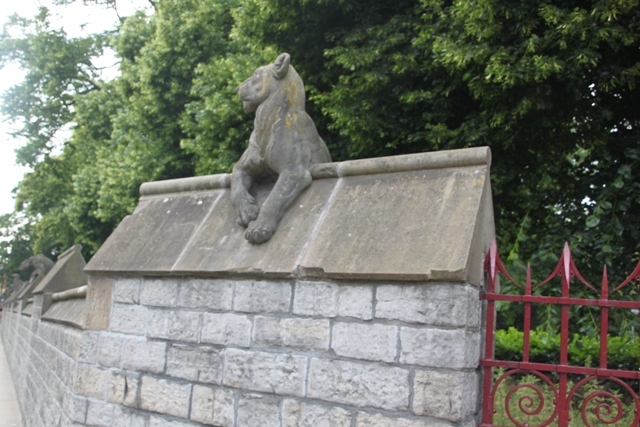 This and the quirky animal wall – a collection of stone animals along the perimeter wall – are thanks to him. 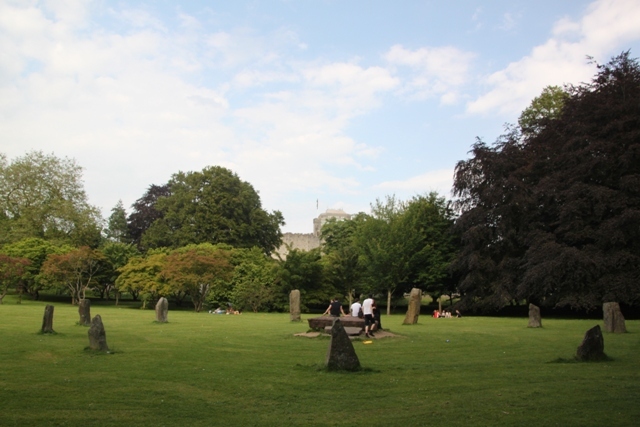 Our day finished with a stroll around Bute Park – the green heart of the city and a real oasis of quiet. This was once part of the castle estate, but like the castle was given by the Bute family to the people of Cardiff. Canny sorts those Butes, they didn’t give the estate to the “city” of Cardiff, they gave it to the “people.” It’s all about the words, this meant that everyone who lives in Cardiff has free access to the castle and the council or powers that be will never be able to sell off any of the park land or allow building to take place there. Clever! 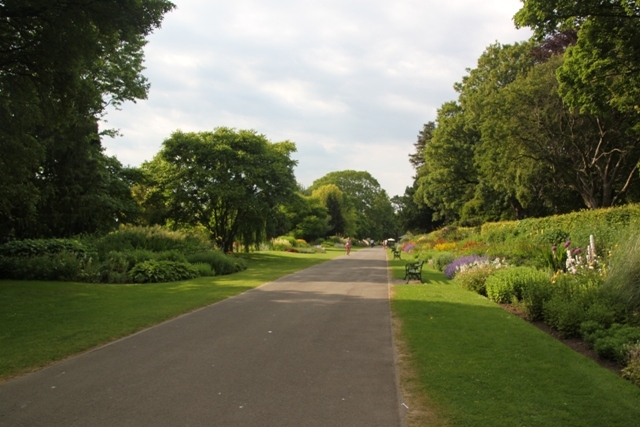 The park is beautiful – flanked by the River Taff, Sophia Gardens and the castle it is so peaceful and hard to imagine you’re right in the middle of a big city. We watched the water taxis on their way to and from Cardiff Bay and then just strolled. Plenty of space – it is 56 hectares or as Son preferred 75 football pitches in size, one of the largest urban parks in Wales. Shady paths with colourful flowers, we found some strange stone formations which apparently commemorated an Eisteddfod. 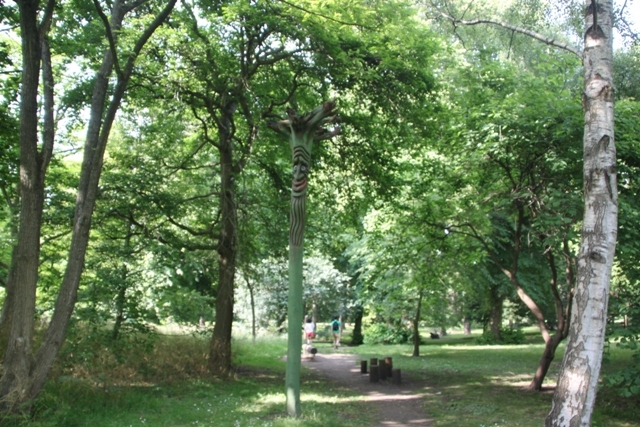 The path is a mix of historic landscapes, woodland, arboretum and a river – the perfect spot to chill out in the middle of the busy city. The perfect end to our great day in Cardiff. Thank you so much for coming along Kamila!! Enjoy your weekend too. 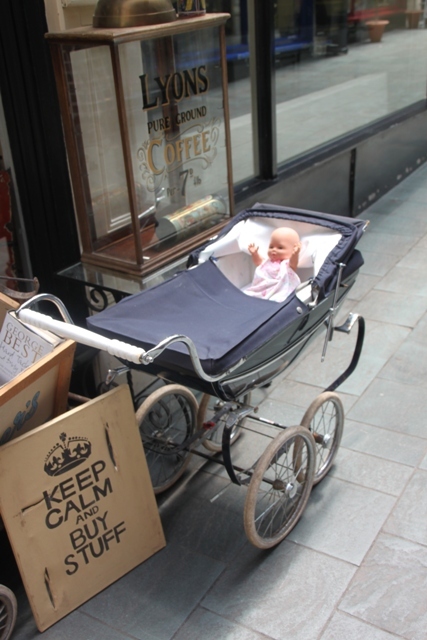 “Keep Calm and Buy Stuff” – – – – fabulous! Great photos….enjoy the weekend! That one appealed to me too!! Thanks Diana, hope your weekend is a good one too. 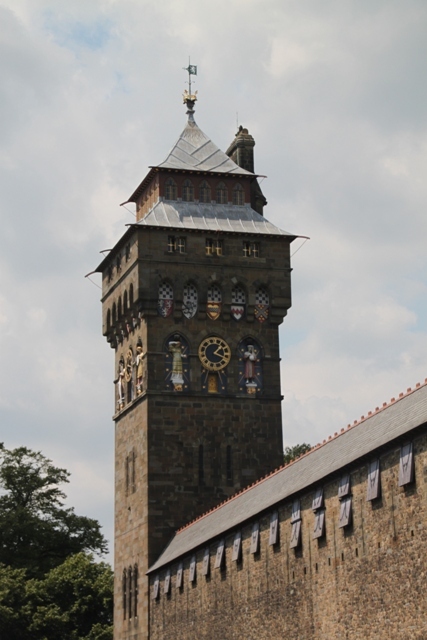 That’s my next trip to Cardiff sorted then – the castle and Bute Park 😄 Did you get chance to visit the indoor market? If not, it’s definitely worth a look. We didn’t – unfortunately – we only had one day but had such a great time we are planning to go back this summer so that will go on the list!! My Son is desperate to see the Dr Who place as well – as you can tell that list seems to be ever growing!! Have a great weekend. I always love how you introduce the several parts of your country. I really would love to come back to England and see this all. Thank you for the lovely comment Erika!! We had such a great time here, I don’t know Wales well enough and really enjoyed my first trip to Cardiff. Enjoyed it so much we’re planning to go back this summer!! Have a lovely weekend. I am so sure it is worth it! My regret that we didn’t get to Wales and Scotland on our trip to England. Your descriptions and stories make it easy to want to return. Thank you. 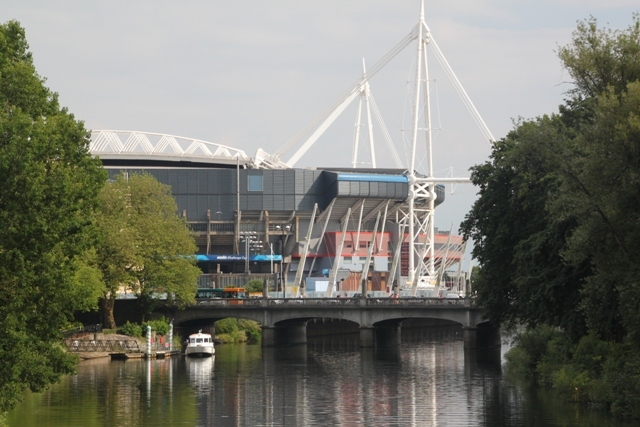 I don’t know Wales so well either George – this was my first trip to Cardiff but we had such a great time we are hoping to return this summer. Maybe sometime you’ll get to explore Scotland (also really beautiful) and Wales!! Have a great weekend. 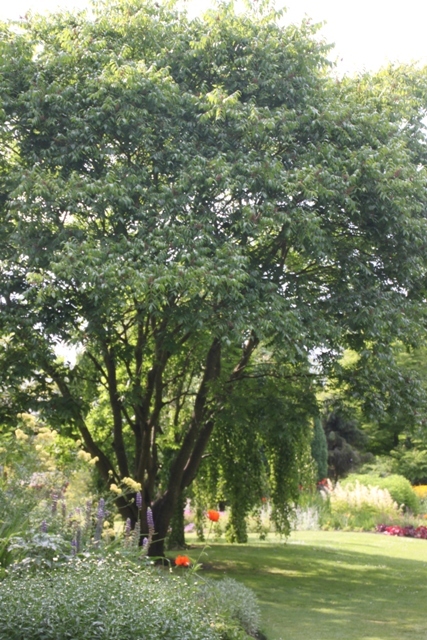 We visited last June Rosemary and it was really hot – quite unusual for this country – so a bit of a relief to escape into the shady park. 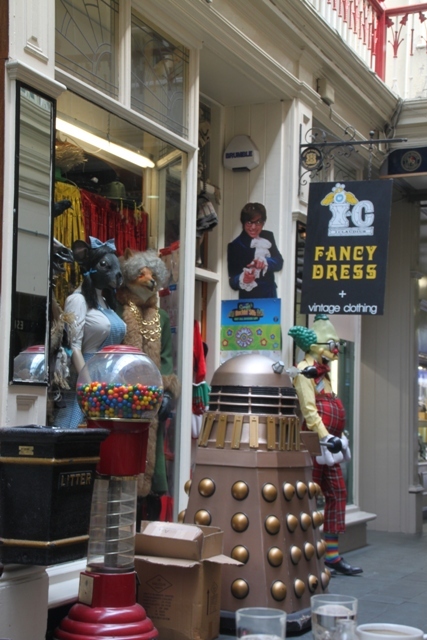 The shopping arcades are great too – full of quirky treasures, we could have spent a fortune!! Hope you enjoy your weekend too. What a day! Lovely arcades and a great park to finish the day in! It was great – something for everyone and plenty of space in that park for any excess energy to be burnt off!! Have a great weekend. Thank you so much Pam – I love having you along!!! How lovely! Wonderful that this beautiful park and castle is available to the people of Cardiff and can never be built upon. Three cheers for that. 🙂 This afternoon I was reading a plaque near a park which stated it had been left in an estate to be used as parkland. This piece of land would be quite valuable today but so nice that it will always be a park. My mother used to take me there when I was a kid. I think leaving estates as parkland is a wonderful legacy. I agree Maria – nice to keep these parks and green spaces however much some think they should be built upon!! Sounds lovely ! 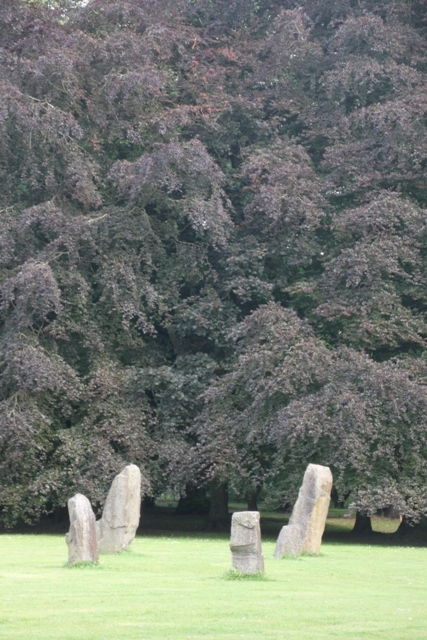 Do they have a lot of megalithic rocks around ? It must be awesome to sit down next to these old piece of history. 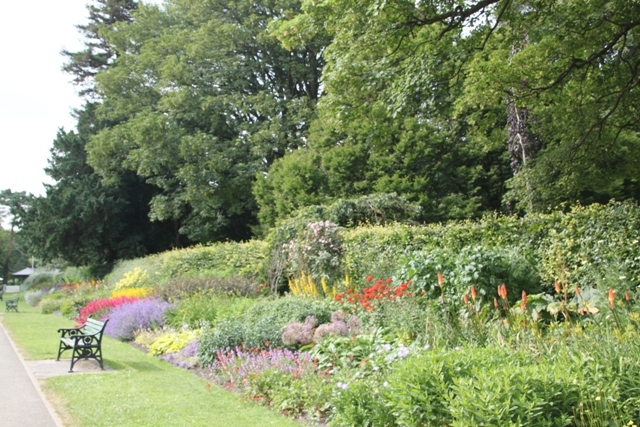 And the gardens looks so nice as well. After Scotland, I will probably explore Wales as well. It seems full of surprises ! There was an area with lots of rocks but the whole gardens are varied and really beautiful. I don’t know South Wales so well so we are definitely intending to explore some more. Your Scotland trip sounds interesting!